This year felt like it was a million years long. This was the year I finally finished The Starless Sea, or very nearly finished since I’m about to hand in reviewed copyedits (note to publishers: January 2nd due dates are mean) and I’ll have one more final pass sometime after that and then it will be gone and grown-up and book-shaped and wrapped up pretty for November. Which is still a million years away if 2019 ends up anywhere near as long-feeling as 2018. This year we had foxes who lived in our yard and I spent my 40th birthday in a decommissioned helicopter and did I mention that I finished the new book? Because I finished the new book and I’m still not quite certain I believe it. I normally do media review but truthfully this year was a blur of mostly writing so this is a short version. My favorite books that I actually got around to were Susan Orlean’s The Library Book, Jane Mount’s Bibliophile and also Chuck Wendig’s Wanderers which will be out in July of 2019. Honorable mentions to The Ink House by Rory Dobner because it is a gorgeous delight and The Aviary Cocktail Book that my dear Kim Liggett gave me for the holidays which is a work of art. I’m hoping I’ll have more time for the ever-expanding to-read pile next year, I feel like I’ve fallen behind on books and media and the world and so much more trying to finish writing this particular book in this particular time. I always do a song for the year but there wasn’t a single song for this year, there were a lot of songs and I’m looking forward to finalizing the Starless Sea official playlist but for this year I’ll leave you with the sounds that filled my office most of the time. It’s long, which seems appropriate. Here we go, into 2019. It should be an adventure. Hello website that has been languishing away and gathering dust, it’s been awhile. I even managed to miss the 10 year anniversary of the blog back in the summer but I was busy turning 40 and trying to finish writing this book. It’s finished, by the way. 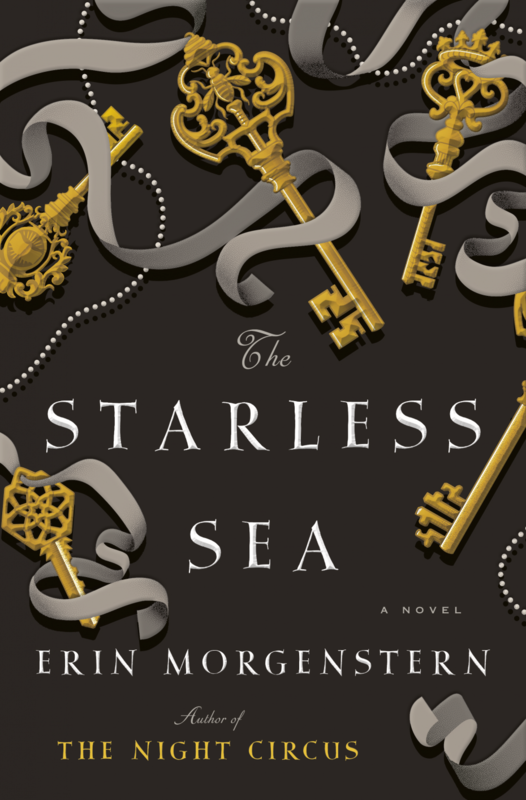 It’s called The Starless Sea. It will be published in the US, UK & Canada on November 5th, 2019. You can read more about it over here at Entertainment Weekly. This has been a long, difficult process but I wanted to get it just right no matter how long it took. This book existed in bits and pieces for a long time and some of the pieces stayed and others changed or wandered away entirely and it refused to be book-shaped for a very long time and then one day it was. I’m still kind of surprised that it’s finally reached this point. 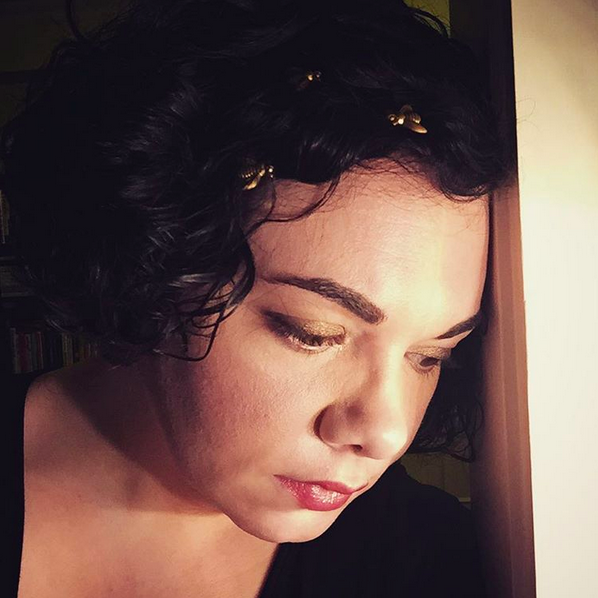 Probably won’t be letting the blog get so terribly dusty for the next while and I will be heading out for book events and such in the future instead of just sitting at home and typing words and staring at them and then deleting those words and typing different words. I’ll post additional book information as I have it (like when it has a cover and such) both here and over on Instagram. In other news, there is a kitten. 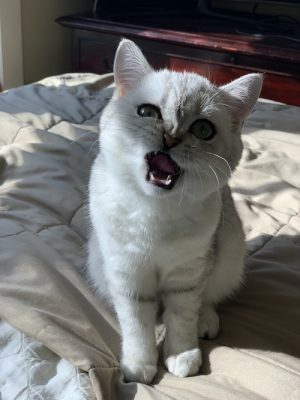 Her name is Vesper, after the cocktail because her mom’s name is Mint Julep and we figured it would be appropriate to give her a cocktail name. 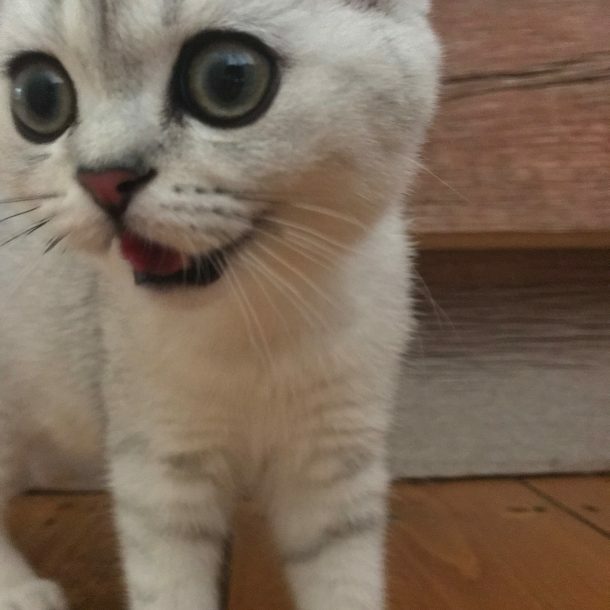 This is one of the photos I took on her first day at home when she refused to stay still very long. 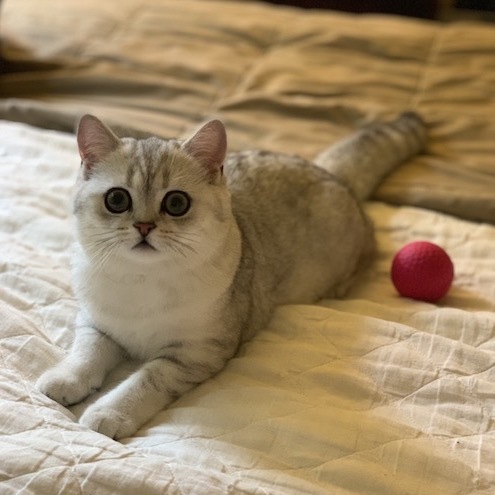 I wasn’t sure I wanted to have a cat again but Adam talked me into it and gave her to me for my birthday. She’s the most darling, slightly crazy purr monster. She’s on Instagram, too, because of course she is. She has been very helpful while I’ve been finishing the book, she has chewed on printed pages and stood on my keyboard and stolen my pens. I know next November seems very far away still but there are many book things still to do and I’m sure time will go faster than any of us expect. 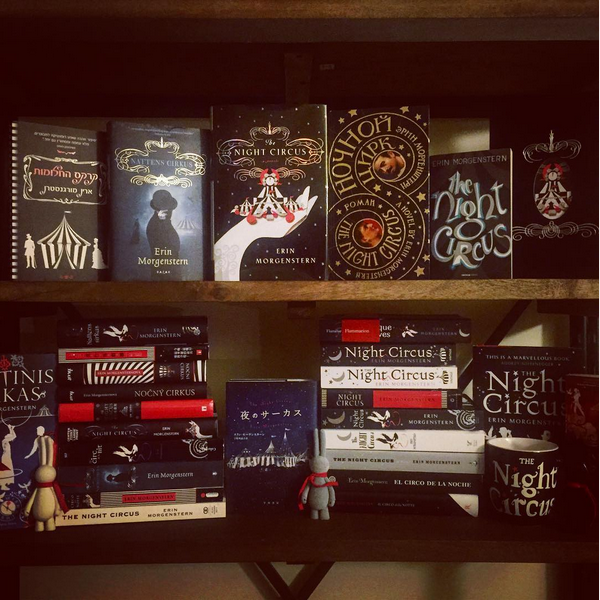 I’ve spent the last several years living in this book and it’s bittersweet and wonderful to be at the point of packing up my bags and sweeping the floors and dusting the bookshelves so you all can live in a Harbor on the Starless Sea for awhile, too. The world is strange and hard right now. I wrote a different book than I might have if I’d started it at another time, but it’s the story it is supposed to be and I hope if at this time next year you choose to sail its seas you enjoy your time there. Oh, 2017. You were a year. I’m not even sure where 2017 went. It seems like it was just snowing and now it’s snowing again. Perpetual winter though I’m pretty sure there was a summer in between. The still-new house is more house-like, more us and more lived in. There are still places missing furniture and oh so many cardboard boxes in the basement with the mice but it is cozy and currently there is a fire burning in the fireplace and cocktails on the coffee table and snow outside and stars and it is a wonderful, wonder-filled place to be. 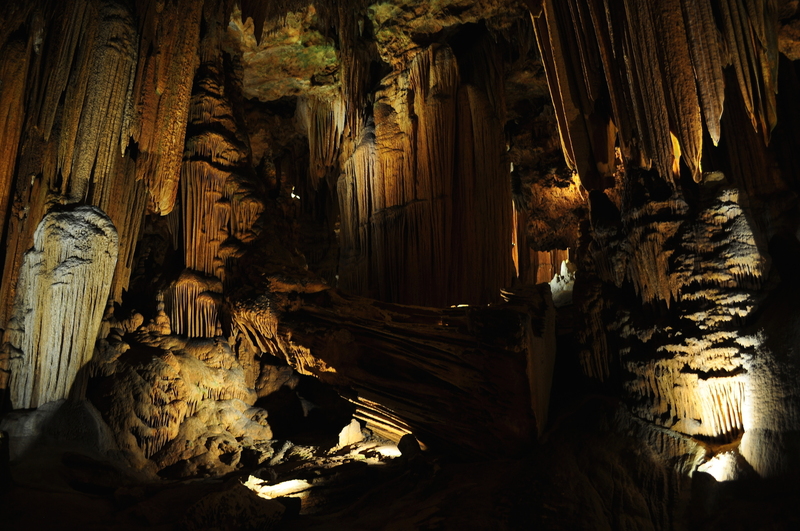 It was a mostly-at-home year but also this year I floated in a perfect sunset-lit pool in Florida and stood in complete cave darkness in Virginia and went on a very cold perfect date night in Toronto. I got a haunted pencil. I watched an eclipse and made friends with a butterfly and finally bought a bottle of Yellow Chartreuse. I finished yet another draft (two, actually) of this thing that will someday be a book. Someday. It’s getting there. I think. I hope. I sort of know. Insert metaphor about baking or sailing dark seas or something else here. It has been a forward motion year even though I spent most of it standing still, staring at computer screens and trying to make the words work. January will be a locked away in that world month and then I’ll see what happens on the other side. I love this game with a love that is pure & true and knows no bounds. (Adam gave me a Funko Aloy for Yule which is my first & only Funko.) Still haven’t played the Frozen Wilds DLC, saving it for a snow day treat but I’m sure we’ll be in for a lot of snow days in the coming months. I still think about moments in this relatively short game months after we played through it. It’s full of brilliant gaming moments and brilliant storytelling moments and I’m waiting to revisit and replay it. Only about halfway through this one but loving it so far. I’m not usually an Assassin’s Creed person but I’ve had a thing for ancient Egypt ever since I was little (thank you, The Egypt Game) so even just running around this gorgeous game is a delight plus it has everything I love about an open world and I get to shoot hippos. Also when had a terrible cold I played Cat Quest on my iPad and it made me feel better. We still don’t have proper cable or internet so this category is light as usual. Favorite movies I saw this year were Wonder Woman, The Last Jedi & Get Out. I’m still anxiously awaiting a chance to see The Shape of Water. Hopefully soon. The only TV I’ve been watching is The Great British Bake Off, over and over and over again. That probably says something about my 2017 mental state. It’s soothing and full of things I can’t eat and I love it. This year I listened to Vaults and Arcade Fire and ODESZA and the Baby Driver soundtrack and the new Taylor Swift but with Look What You Made Me Do edited out. I’ve also kept the Skyrim Atmospheres track from the Skyrim soundtrack on repeat as background in my office a lot lately. This is the other song I had on repeat this year. Not sure why, it just sounded right. Today I am 39. My grandmother used to say she was 39, every year, and when I was young and my dad turned 40 I was very confused as to how he could be older than his mother. Math is hard. Age is just a number. I believe this means the website/blog is 9 years old. I should bake it a cake next year when it reaches a decade. Rainy birthday. For a moment it there was hail but now the sun is trying to peek out again. Hopefully going to have a very interesting year ahead of me. 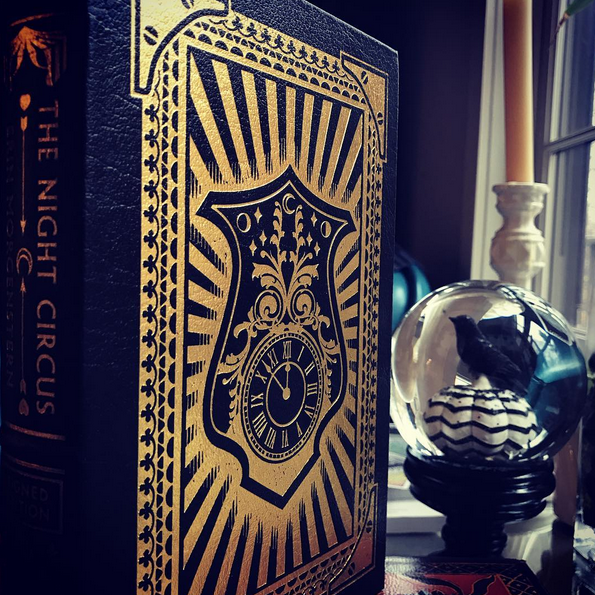 There is a signed 1st edition US hardcover of The Night Circus in this auction to benefit Planned Parenthood organized by the wonderful Kelly Braffet & Owen King. 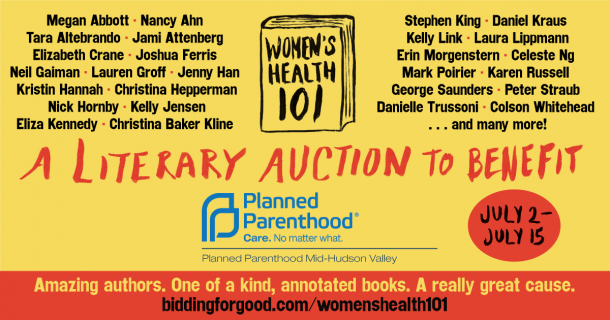 It is also–because it is the 101st year of operation of Planned Parenthood–annotated on page 101 with circusy footnotes & nonsense, so it is utterly unique. The high bidder gets to find out where, precisely, my glittery red pen ran out of ink. Bidding is open through July 15th. We are getting used to house things. 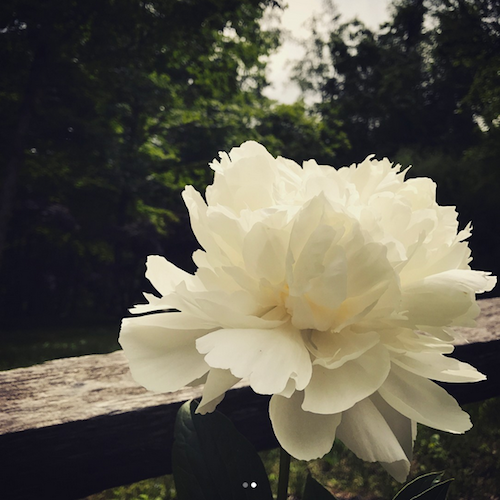 We had a frozen pipe in the winter and bats in the walls and it seems like a crash course in home ownership but we also have hummingbirds and sunsets and a brief June burst of peonies. There are several still unpacked cardboard boxes, mostly in the basement. We finally have chairs for the library. My office is still a work in progress but it’s getting there. We are cooking a lot. We got a grill. Our dish of the summer so far is this Ina Garten quinoa tabbouleh but I replace the tomatoes with diced strawberries dressed in balsamic vinegar. It’s better that way. Sorry, Ina. I don’t have proper internet right now. I am typing this while running a wireless hotspot off my phone. Supposedly there are plans to get this area of wilderness wired properly in the foreseeable future but for now I am mostly only able to do internet things on my phone or my iPad and I am a terrible touchscreen typist so I have been and will continue to be fairly scarce around the internet in general. It’s hard to keep up with things when everything takes ages to load if it even loads at all. Twitter hiatus continues. We don’t have cable, either, so no new tv for me. I have been catching up on Adventure Time and binge-watching British Baking when I have tv time. 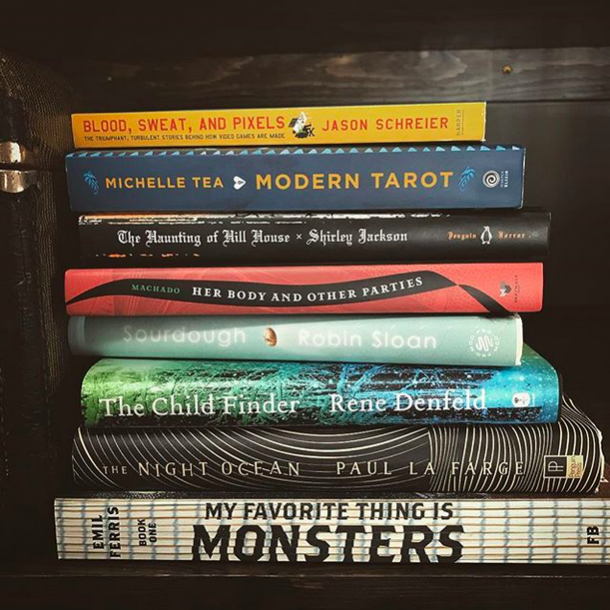 Favorite things I’ve read so far this year (and I’ve barely been reading) are book one of My Favorite Thing is Monsters by Emil Ferris, Magpie Murders by Anthony Horowitz & The Child Finder by Rene Denfeld which is out in September. I have been listening to ODESZA and Oh Wonder and Halsey. Game-wise I am a little bit obsessed with Horizon: Zero Dawn. Not quite finished with it yet, and I keep randomly stopping because the light or the environment is just so pretty. It does so many things I like in a game and does them really well and thoughtfully and with a strong story line. Super excited that they already announced DLC & I hope they franchise the heck out of it, I would play sequels upon sequels in this world. Favorite game I’ve played and finished is What Remains of Edith Finch. In certain ways its the best game I’ve read/story I’ve played. It has distinct mini story-sections that are all inventively different and there’s a moment in one of them that when I realized what it was doing with the controls I was probably the most giddily delighted I have ever been when playing a game. And of course, mostly I have been writing. I am very close to a new draft. I am not quite where I wanted to be by birthday-time but not too far off, either. It is book-shaped again but the end is missing and there are a couple of holes in the middle. It is a different book-creature than it was at the beginning of the year. It is stretching its wings and finding its feet and only occasionally hissing at me. Not quite tame but it doesn’t really want to be, not entirely. It’s also very proud of me for not using a cake analogy to describe its current state. Going to spend the rest of my summer mostly in my head. I don’t get sunburned there and there’s less hail. It is officially spring and we are still buried in snow. Confused little flowers are trying to bud in the yard and the sun feels spring-like sometimes, coercing things to melt. Slowly. 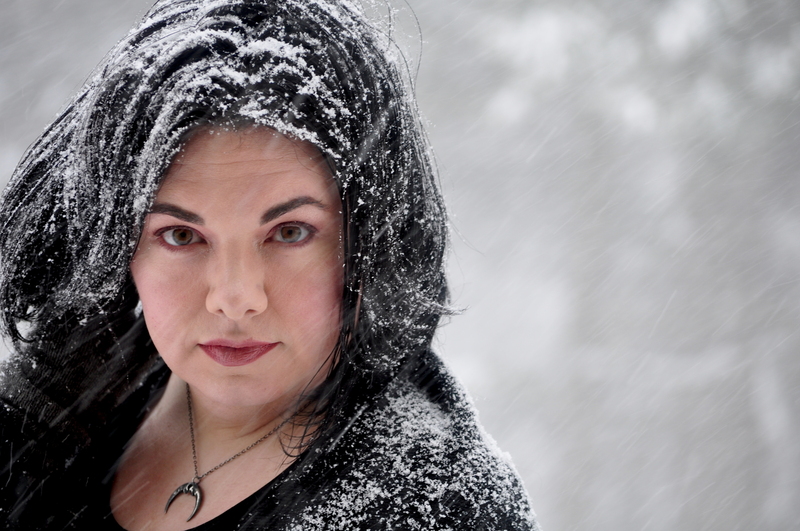 Adam took some photos of me mid-blizzard last week. We got two feet of snow. Most of it is still here. There are paw prints near the trees that might mean our fox is visiting again. There is an interview with me up on Haute Macabre today. 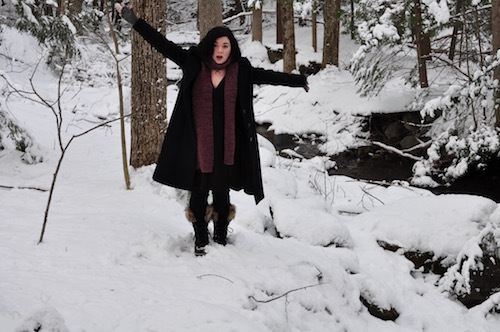 I have not been doing interviews of any sort as a general rule but I made a single exception for Jess because I’ve followed her work at bloodmilk for years. I adore & collect her jewelry, I’m wearing her naja owl talon crescent moon in the photo above. It was a pleasure to be interviewed by her, even though I’m a bit out of practice with the whole interview thing. Home again and snow again and back to revising again. Getting through the deep dark unseeable parts. Finding my way toward the end. Good things first: I have a house. More than just a house I have a space that is mine and a place that is ours and I am such an introvert homebody Cancerian moon child that this brings me a good deal of joy. Also within that house I am currently sitting in my new office which was supposed to be finished in October and it was not. It’s still not, but it’s finished enough for me to start moving my boxes and my books and my statues of bunnies into. I finished a draft of the new book. I think I’m going to change the vast majority of it, but hey, it’s a draft. It still counts. I drank a lot of sparkling wine with several truly lovely people and I turned 38 years old and celebrated my 2nd wedding anniversary and I ran around in the snow in my own yard in October when we got the first of what appears to be quite a lot of snow. And there were a lot of other things. I feel like I don’t have words for things a lot of the time which makes me feel like a failure as a writer but I just don’t. The words aren’t there, not for blogs or tweets, not the right ones to capture the gamut of emotions from disappointment to anger to sadness to fear that seem to be on constant rotation this year in no particular order. That’s not the way my brain works. I can’t say how I’m feeling or react to the world in the moment because combinations of 26 letters never sound right the first time, in the sharpness of the here and now. I’m a rewriter more than I’m a writer. I have to keep trying until I get it right. So my words for this emotional storm cloud of a year are going to slowly find their ways into fiction instead. The world feels different now, or maybe it’s that the world is not yet the place I had wanted to believe it already was. I feel different now and so the book needs to be different, too. Maybe that’s why I’ve been having so much trouble with it, because it is and always was a book that was somewhere in the future and things are different now and it had to wait for me to catch up to it. Maybe I’m at the place in space and time this story needs me to be in, finally. I don’t know yet. I’m still figuring it out. I do know it is a winter book, though, so it helps to be covered in snow. And I do have a lot of snow. I am not moving to Canada even though I actually have the ability to, I am staying right here. I turned off my website email because I can’t keep up. I know there are technically other ways on the internet to attempt to reach me but I can’t keep up with Tumblr/Instagram/etc messages either. Especially when they’re often flooded with people asking google-able questions about The Night Circus that seem to be part of homework assignments? Google is your friend. I would like to be friendly, too, but I only have so much time and even less energy. Please be patient with me. The last few years have been really, really hard. Not just this one. Trying to write a book in the middle of all of it has been hard. I am doing better than I was while also realizing I had not been doing nearly as well as I had thought I was before. I am trying to be patient with myself, too. I have to get where I’m going one step at a time and I have no idea how many steps there are. That was a metaphor about how I can’t tell you when this book is going to be out because I don’t know when it’s going to be finished, and trust me, you won’t want to read it until it’s finished. It wouldn’t have an ending for one thing, and there would be pages missing in the middle and then the bees might get out and oh, now I’ve said too much. I had somehow managed to never read this until now and I regret it immensely. Easily a new very favorite. Such pitch-perfect voice and tone and everything. I recently picked up the new Shirley Jackson biography by Ruth Franklin & I’m looking forward to that, too. 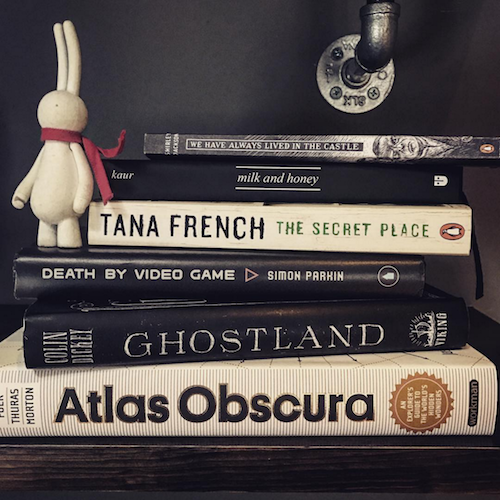 I adore Tana French and when I saw she had a new book out this year (The Trespasser) I realized I was behind so I read The Secret Place to catch up. It might very well be my favorite of the bunch so far. The structure is brilliant and it nails a particular teenage girl-ness that I haven’t seen done so well before. Any Tana French is my go-to detective/crime recommendation lately. Preface because I’m not sure I’ve mentioned this before: we currently have something like five different game systems in our house but the PS4 is the go-to. It is my favorite, to the point where the dulcet tones of the home screen might very well be my Proust questionnaire answer for “What sound or noise do you love?” (but in a three-way tie with the crackling sound of a spoon breaking into a crème brûlée and also Nick Offerman’s giggle). If you are not a game person but you are a book person or a story person please give Firewatch a try. It is beautiful and thoughtful and funny and touching and I still think about it months and months after first playing it. It’s not challenging and it’s not very long and it feels like a playable story. I might replay it next year. I never did find that turtle. We haven’t finished Rise of the Tomb Raider yet but I love it, especially the way it does this turn-a-corner-and-see-something-amazing thing with the environments. I’m a sucker for a good exploration game and I like puzzles and while I liked the previous Tomb Raider a lot so far this one is balancing its different elements a little better. Looking forward to playing more of it. Arrival was probably my favorite thing I saw in the theatre this year and I was delighted to find the Ted Chiang short story it was based on in Adam’s extensive SFF collection when we got home. I will not admit how many times I have watched Zootopia already but I will probably watch it more and then again and possibly one more time after that and I will probably watch Moana just as much when I can. I don’t have cable or internet right now so I don’t really get to watch TV. Sometimes I’m sad about it. Mostly I’m not. New-to-me artists I discovered this year and love to little bits: Oh Wonder, Kaleo, Perfume, Aurora. New albums by artists I already loved: Radiohead’s A Moon Shaped Pool & Birdy’s Beautiful Lies. I always pick a song of the year and I had too many to choose from this year, too many tracks on repeat (Bon Iver’s “33 ‘GOD’” & Sia’s “Alive” & Kaleo’s “Way Down We Go”) and then I thought about how I always post a video to go with my now traditional New Year’s Eve blog and this came to mind and is another one of those songs I listened to over and over again and the first time I saw this video for it I couldn’t stop smiling. I think that’s probably a good thing to say goodbye to this year with. I took this photo in my yard. I have a yard now. Possibly obvious, but I no longer live in Manhattan. I left the city in a blur of cardboard boxes and craziness and I owe a great number of people goodbye cocktails that never happened and probably even more people a “by the way I’m moving” update. My apologies. 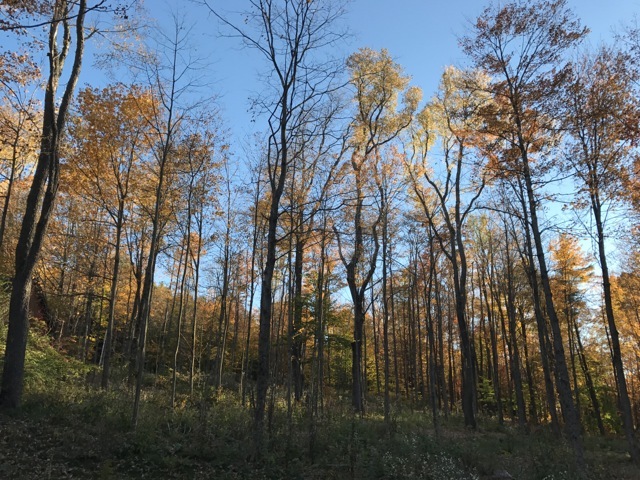 Time, as it does, got away from me, and here I am deep in autumn and leaves out in the woodsy mountains and now I have to make my own cocktails mostly but I am very much okay with that. We lived in Manhattan for almost four years. I am going to miss parts of it dearly and other parts not at all. I already miss the ability to have sushi brought to my door, drinking sparkling rosé and eating pommes frites at Lafayette. Probably most of the things I will miss are food-based. I will miss Bryant Park and the High Line and the lobby of the Ace Hotel. The Met and the Morgan Library. I will miss walking up Park Avenue very late at night in the winter and buying used hardcover books at the Strand and Shakespeare in the Park but these are all things I can do again, that I may do even more now that Manhattan is for visiting. So I have a house now, with stairs and rooms and trees outside and mice inside (teeny adorable mice it is difficult to be too terribly annoyed at even when they get into the Hallowe’en candy). I have never had a space of my own that did not come along with a diminishing number of months for occupying it, a space that can be painted and personalized and stayed in and lived in and it is nice but strange and I am still getting used to it. I am organizing books on shelves. My new office is not office-shaped yet. Many things are still lost in cardboard boxes, waiting to be found again and put in new places. Also I am quite literally in the woods. My internet is currently questionable at best though supposedly that might change in the future. I will try to keep up with things as well as I can. I am remaining on Twitter hiatus for now but I might drop in now & again more often than I have been. I am still writing. New book is book-shaped but is not the right book-shape yet, which is a fussy confusing stage that there is probably a cake analogy for but I’m not sure what it would be. I write things wrong before I get them right, apparently it’s just a thing I do. I am tearing things out and rewriting and replacing other things and trying to figure out which parts are book and what parts are not book and how to put them all back together properly and in what order. If this were indeed a cake analogy it would involve a very messy kitchen and there would probably be gluten-free flour in my hair. Sometimes in this non-existent analogy kitchen I sit on the floor and cry amongst broken eggs and ruined cake layers and sometimes the mice come out and whisper baking tips and advice to me before running off with more chocolate. Every time I crawl out of the writing cave to peek at the internet someone somewhere is asking when my next book will be out. Here is your answer: I don’t know. If I knew I would tell you. I’m busy trying to get it right and make it good and find the proper way to tell this particular story, which feels more important than doing it quickly. I shall try to update the blog more often in the future. This year has been a blur of writing and moving. Whenever I find the time to stop and say something here I’m often at a loss for words. To those about to NaNoWriMo, I wish you many words and endless inspiration and unexpected surprises. Last year’s post with lots of NaNo-related links including pep talks is here. Merry NaNoWriMo Eve, Happiest of Hallowe’ens and Blessed Samhain. 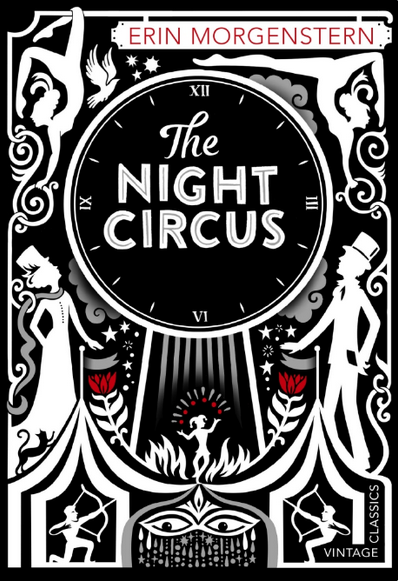 The Night Circus was first published five years ago today. It’s been a wonderful, strange, emotional roller coaster since then and I am still so very grateful to everyone who embraced and supported the book and visited the circus. 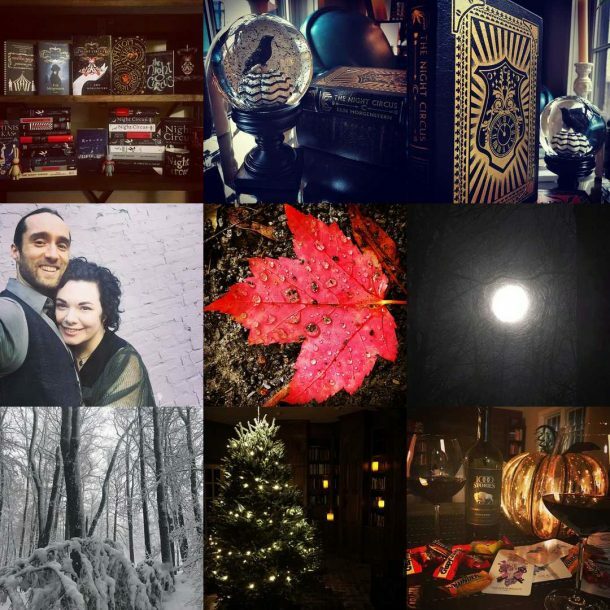 I have been a bad blogger this year. 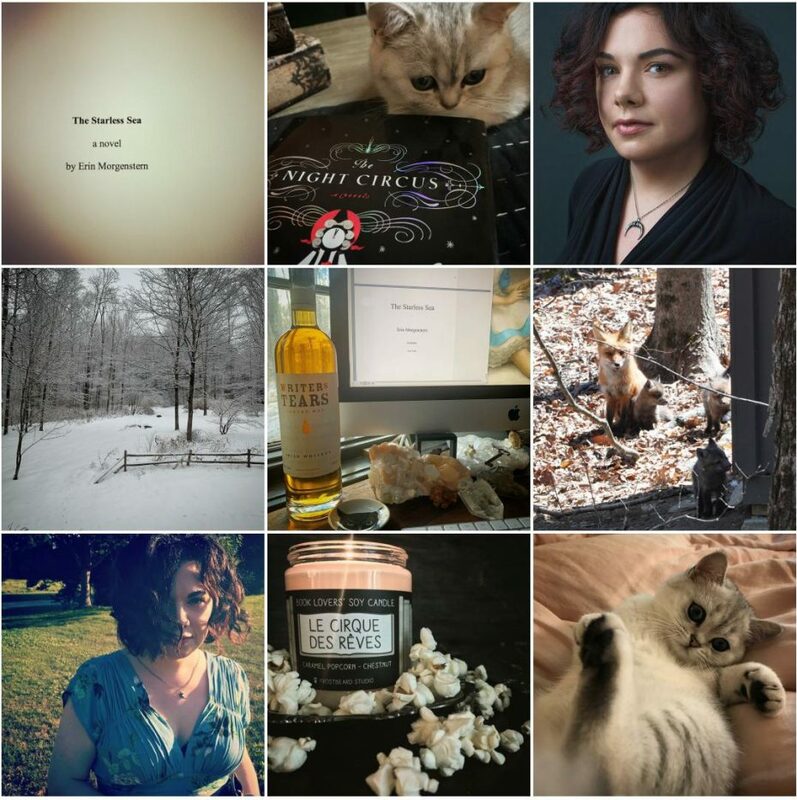 I have been very deep in the writing cave and I really did have a blog post half-drafted that was a summertime check-in of sorts around my birthday but now it is September and beyond the point of summertime check-ins. This is not a proper check-in. This is just a quick September bookaversary internet hello before I crawl back in my cave. 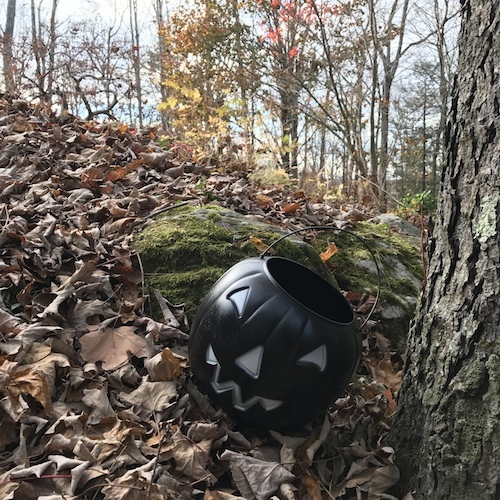 I might grab a pumpkin to autumn-up the cave decor while I’m here. I am fairly certain there will be news of varying sorts to post here in the foreseeable future. I might even be allowed back on Twitter sometime soonish. Lots of things are afoot and busy and buzzing like bees. Here we are at the end of the year again. I have had my least productive blogging year possibly ever. I am sorry, blog. I think this post will knock the last 2014 post off the front page, so that’s something. I have spent a lot of 2015 not on the internet, which has been good for me. I’ll be spending parts of 2016 offline as well, beginning with a very hermity writing January. I started this year hibernating. I am ending it at home in New York, just back from a surprise trip to Hogwarts, about to hibernate again. In between I went to South Bend for circus shenanigans and Toronto again after too long away. I turned 37. We celebrated the first of hopefully many, many wedding anniversaries. I had a lot of cocktails with new friends and old friends. I learned how to make a proper carbonara. I added many, many bottles to my BPAL collection. I was a crossword puzzle clue. I wrote a lot. I am well out of word soup phase and probably somewhere nearing the word cake phase, though not quite fully baked yet and there will be layers to carve and frost and a great many fussy bits to come. It’s almost a book. It’s thinking about it, really hard. 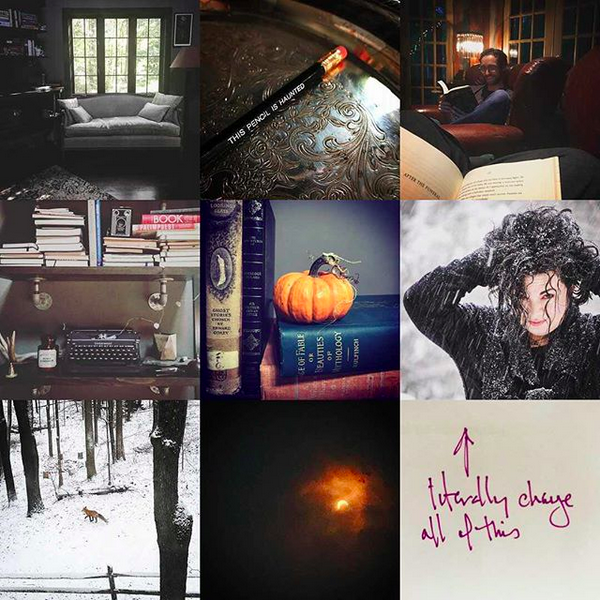 It was a more eventful year than it looks like through the lens of the internet. Much of what is going on in Erinland is still hidden behind curtains, waiting. Preparing. On one hand I feel badly about not being able to share and on the other I am trying to savor the quiet times because I know they are temporary. I am still trying to learn to balance living in my head which I need to do to write and living in the actual world with people and social media. The easiest way for me to manage is in extremes, and now is a mostly in my head time. Sooner or later the contents of my head will be properly captured in words and then put on paper so they can spill out into other people’s heads, which is magical but intimidating when it’s just me, just my head and just my thoughts, trying to keep them clear and finding the best ways to translate the spaces and people in my head into words. It’s difficult and then it’s easy and then it’s difficult again, like the optical illusions that shift depending on how you focus, though the image always stays the same. In 2015 for the first time in a long time I started to feel like I’m getting to where I’m supposed to be. That there’s some forward momentum. No stars in my hair this year. This year there are bees. It is time for new things. Time for changes. No proper list of favorites this year, either. 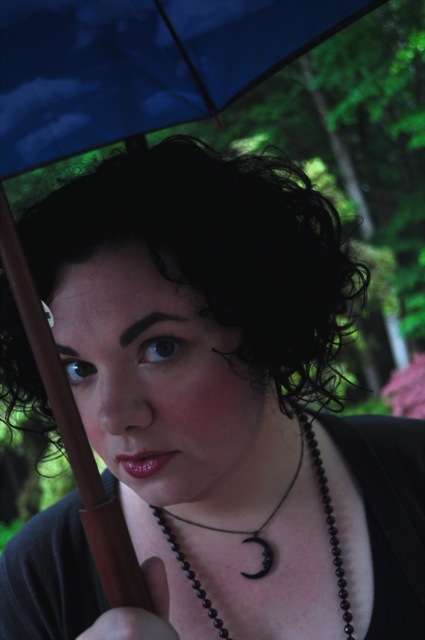 My favorite book I read out of an embarrassingly short list was Speak by Louisa Hall. I spent most of my non-writing story consuming time this year playing video games, mostly Dragon Age, mostly out of order (Inquisition, then Origins, then II, then the epilogue of Inquisition which made me cry and then laugh through my tears and I cannot even begin to explain how much I love that game). I liked a lot of tv, consumed mostly on Netflix: Black Mirror & Broadchurch & Sense 8 & competitive British baking. I really liked the BBC adaptation of Jonathan Strange & Mr. Norrell. I didn’t go to many movies but I did just see the new Star Wars and really liked it, and I am not really a Star Wars person. I’m going to try to read more in 2016. Lots of good music this year, which made it difficult to choose a song of the year. If I wanted to be really honest my most-played track is the main theme from Dragon Age: Inquisition but since that’s not precisely a song I decided to be a bit more traditional. This artist & this album were very much exactly the right music at exactly the right time. I have a feeling 2016 is going to be an adventure.